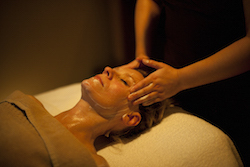 Reveal a visibly firm, plumped and eventoned skin with this introductory antiageing facial. The exclusive Archi-LiftTM technology combined with the active lift massage effectively stimulates cell regeneration, restores fullness and redefines the volume of the face. 30 minute treatment.